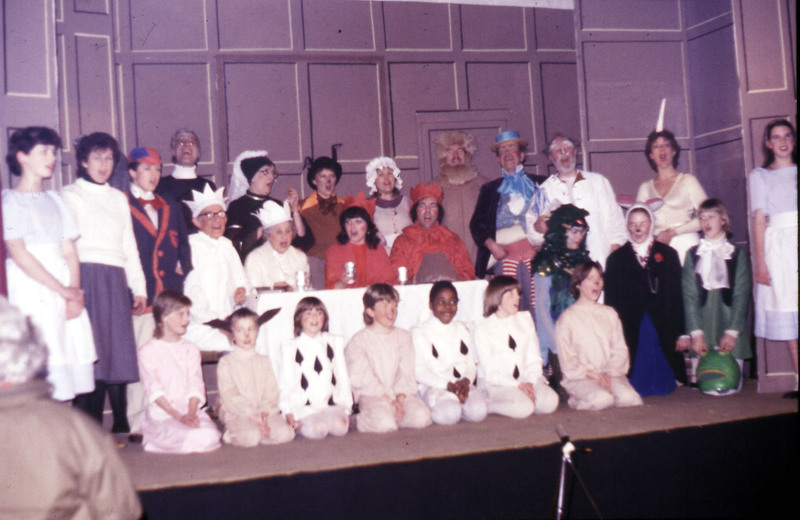 The finale of “Alice in Wonderland” in 1985 as presented by Willingham Amateur Dramatics Society aka WAMADS. Amateur Dramatics was very popular in the second half of the 20th century and Willingham’s group was extremely active. As a long-time resident of the village said when I commented on his appearance as Humpty Dumpty in this picture: “everybody’s been in WAMADS at some point.” Plays, musicals and pantomimes used to be staged in the old church hall on Church St. (which has since been converted into a private residence) and involved a large group of people both on stage and off stage. It was a village institution.